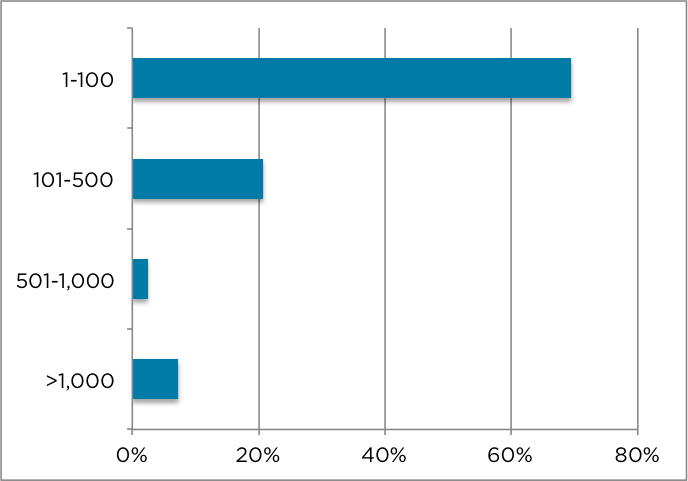 This is the third survey of OpenNebula deployments since September 2012. The results of this voluntary survey were answered online between December 3, 2015 and December 11, 2015. 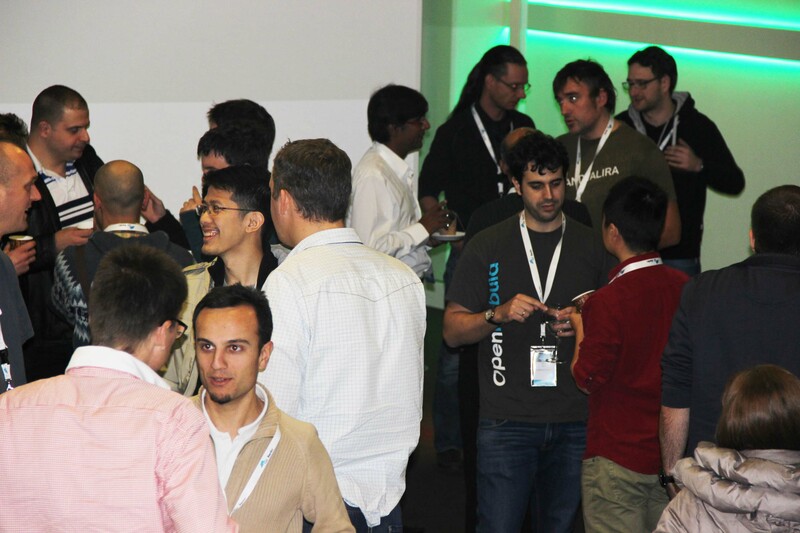 While previous surveys were open for several months, responses in this survey were collected only over a period of one week because its goal is to have a snapshot on the architectural components of existing OpenNebula clouds in order to improve support for the most demanded infrastructure platforms and configurations. Although several hundreds of organizations took part of the survey, we have only included in the analysis the 190 respondents that are using OpenNebula 4.x (latest series) and who we deem reliable because they have provided identification details that allow us to verify the answers of the survey. 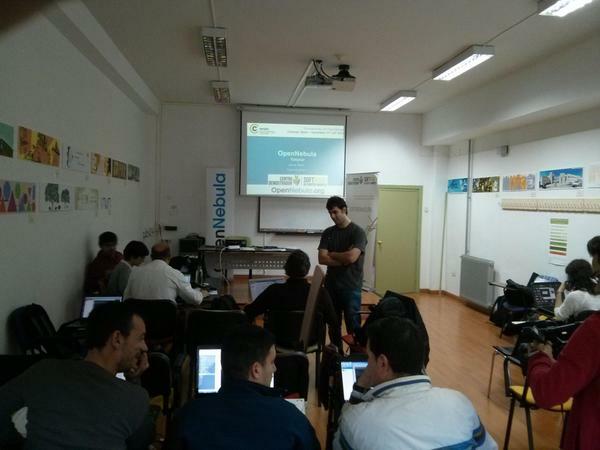 This is important given that our main aim is to have accurate and useful information about OpenNebula deployments. 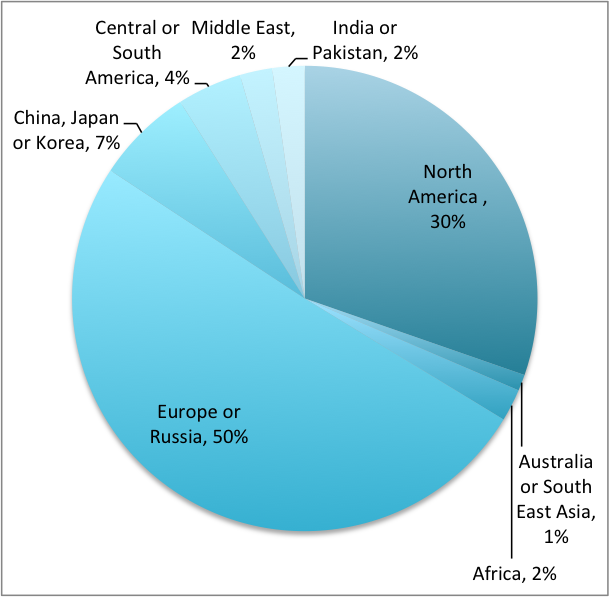 This Survey is not a market survey and does not express all OpenNebula deployments worldwide. Since the foundation of the open-source project in November 2007, OpenNebula has been downloaded more than 360,000 times from the project site (280,000 times since our first survey in September 2012 and 160,000 times since our latest survey in August 2014), not including other software repositories or third-party distributions. 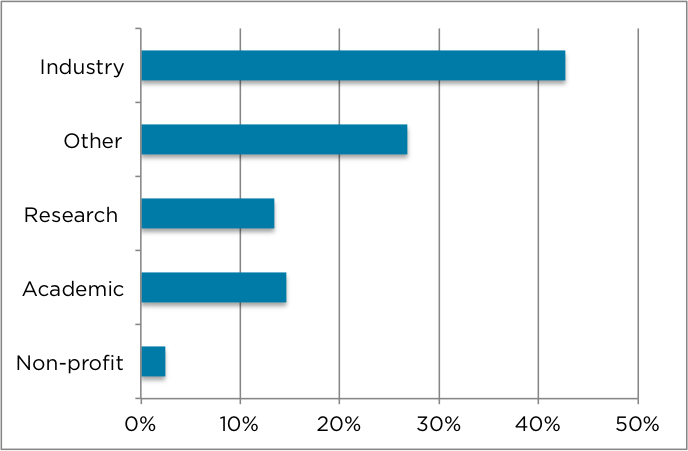 Regarding the use of OpenNebula, the Survey shows 43% of overall deployments are in Industry and 13% in Research Centers. Most of organizations (80%) are in Europe, Russia or North America and use OpenNebula to build private clouds (93%). 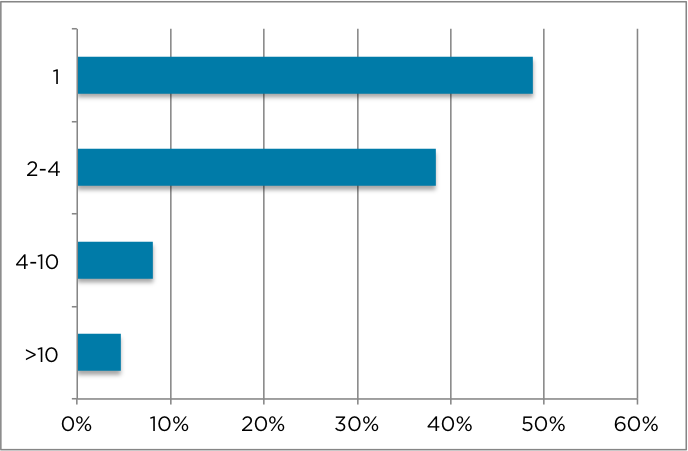 When asked about the type of workload, 73% said that they use OpenNebula for running production workloads. Regarding the size of the clouds, 80% of deployments have fewer than 100 nodes and 10% of deployments have more 500 physical nodes. 51% of deployments consist of more than one OpenNebula zone and 5% run more than 10 zones. 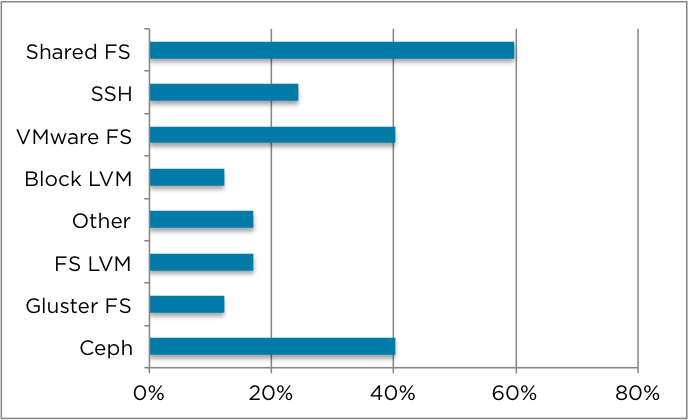 Among the advanced components offered by OpenNebula, High Availability at 73% is the most widely used, in correspondence with the predominant production usage of OpenNebula. 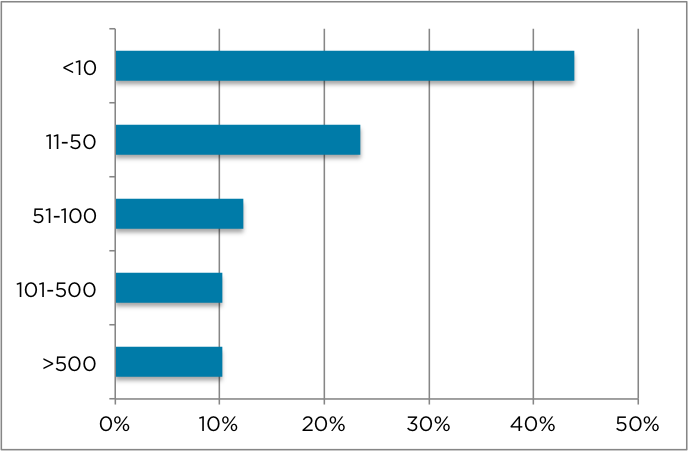 Regarding the building blocks of the cloud, KVM at 79% and VMware vCenter at 37% are the dominant virtualization platforms, and CentOS at 44% and Ubuntu at 40% are the most widely used linux distributions for OpenNebula clouds. 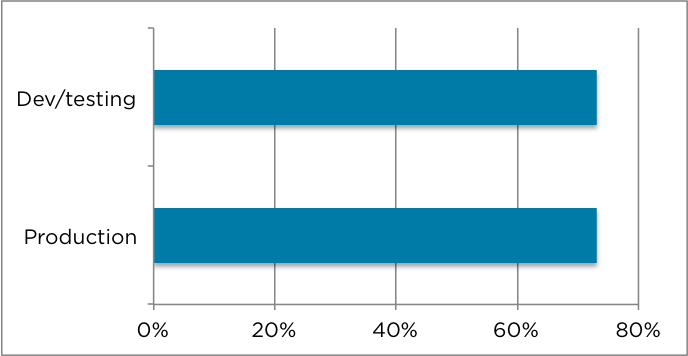 The preferred choices for the storage back-ends are shared FS and Ceph at 60% and 40% respectively. Regarding networking, most of the deployments, 45%, use the Standard Linux Bridge for network configuration, 35% use 802.1Q, and 33% use Open vSwitch. 44% of deployments use the hybrid cloud functionality offered by OpenNebula. Amazon EC2 at 30% and Microsoft Azure at 16% are the most widely used public clouds. Ubuntu grows from 36% to 40% and Debian falls from 33% to 22% as operating systems to build the cloud. 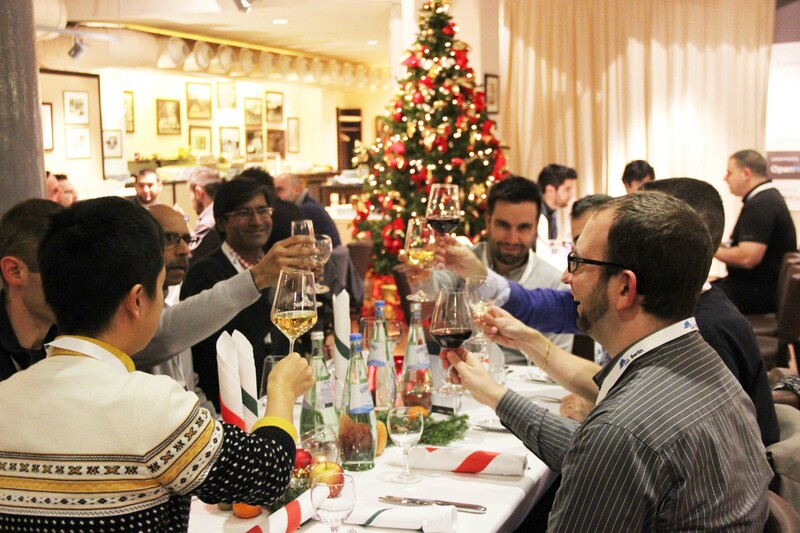 The use of Ceph has grown considerably from 17% to 40%. The use of LVM as storage solution decreases from 22% to 12%. 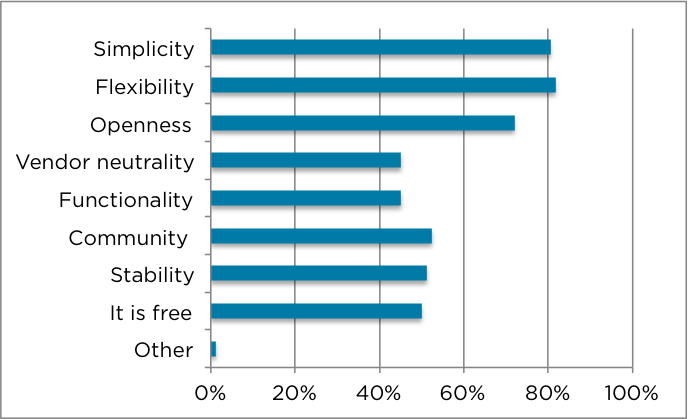 On the whole, OpenNebula continues to be loved by its users for its flexibility, 82%, simplicity, 80%, and openness, 72%. These results are aligned with our our mission — to become the simplest cloud enabling platform — and our purpose — to bring simplicity to the private and hybrid enterprise cloud. OpenNebula exists to help companies build simple, cost-effective, reliable, open enterprise clouds on existing IT infrastructure. We would like to thank all respondents that took part in the survey! 43% of respondents indicated that they work for industry, while 13% work for research centers. These are similar to previous survey results. 50% of deployments are in Europe and Russia. This means a small reduction compared with previous survey data where the number of deployments in Europe and Russia was 54%. The number of deployments in North America grows from 20% to 30%. 80% of respondents are located in Europe, Russia, and North America. 65% of organizations are small companies with fewer than 500 employees, and only 7% has more than 10,000 employees. 93% of respondents are running a private cloud for internal operations, while 34% are running a public cloud to offer utility services. Compared with previous survey data in 2014, the number of public clouds decreases from 40% and the number of private deployments increases from 84%. 73% of respondents are running non-critical environments or peripheral installations for running testing or development applications, while 73% are using the cloud for running production workloads. We see that OpenNebula is increasingly mature, with more deployments moving into production stage as compared with prior surveys data, from 42% in 2012 and 62% in 2014. The number of users in most of the clouds, 70%, is fewer than 100. Many of these deployments use OpenNebula as virtual data center infrastructure manager and not as a cloud provisioning platform. Similar results were collected in previous edition of the survey. 56% of OpenNebula deployments have more than 10 nodes, and 10% of the deployments have more than 500 physical nodes. Similar results were collected in the previous edition of the survey. 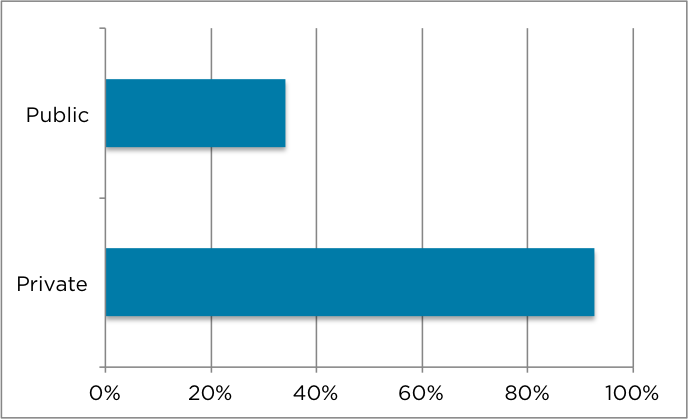 51% of deployments are federated environments consisting of more than one OpenNebula zone, and 5% are running more than 10 zones.This means a slight increase, from 44%, in the number of federated environments compared to previous survey. 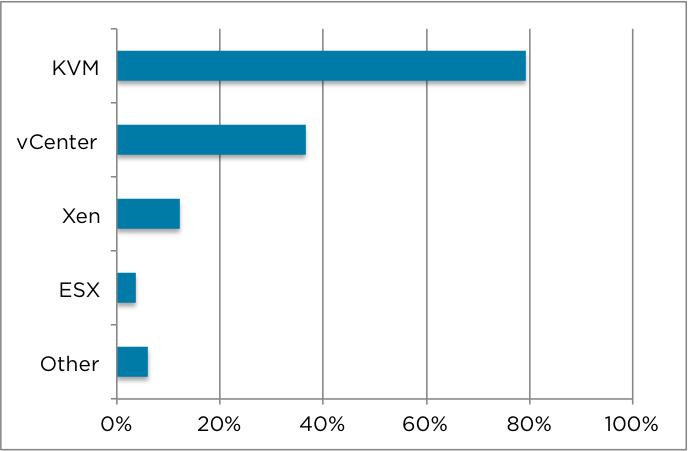 KVM at 79% and vCenter at 37% are the most widely used virtualization platforms. Next one is Xen at 12%. VMware ESX drivers are used by only 4% of deployments, most of VMware users have migrated from ESX to vCenter drivers, which brings many benefits. The number of KVM users has grown considerably from 48% to 79% and the number of VMware users has grown from 28% to 37%, compared to previous survey in 2014 (vCenter support was introduced just after the previous survey). Other hypervisors include those not part of the main OpenNebula distribution that are supported through community plugins. Shared file system at 60% and Ceph at 40% are the most widely used storage solutions in open environments. The use of Ceph has grown considerably from 17% in 2014. 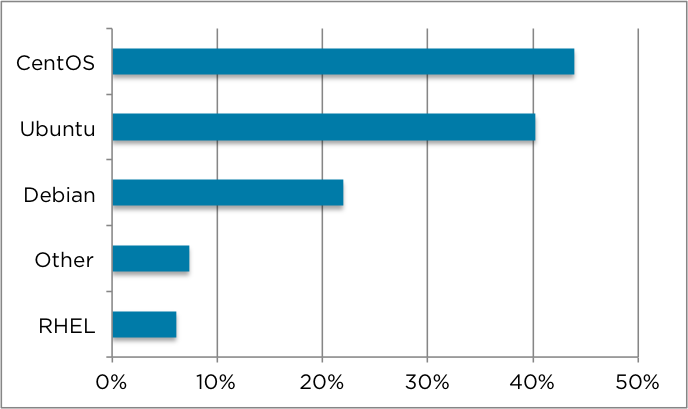 FS LVM, Block LVM and GlusterFS are used by 17%, 12% and 12% of organizations respectively. VMware FS at 40% is used in VMware-based deployments, mainly through vCenter. 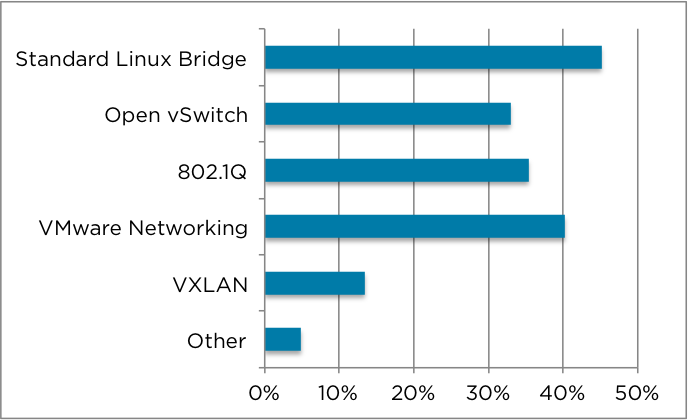 Most of deployments, 45%, use the Standard Linux Bridge for network configuration; 35% use 802.1Q; 33% use Open vSwitch; and 13% use VXLAN. 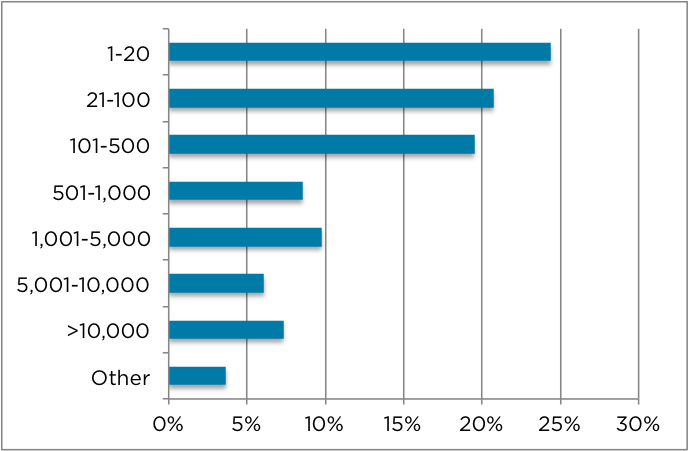 VMware networking at 40% is used in VMware-based deployments, mainly through vCenter. These are similar to previous survey results. 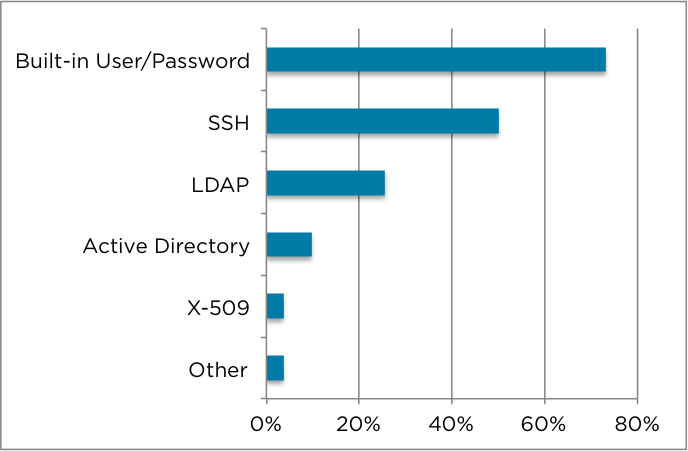 Regarding authentication, most of organizations, 73%, use the built-in user/password system, while SSH and LDAP/AD, with 50% and 36% respectively, are the more popular external authentication systems. Similar results to previous edition of the survey. CentOS at 44% and Ubuntu at 40% are the most widely used linux distributions for building OpenNebula clouds. CentOS slightly falls from 46% and Ubuntu grows from 36%. Debian decreases from 33% to 22% of the deployments. 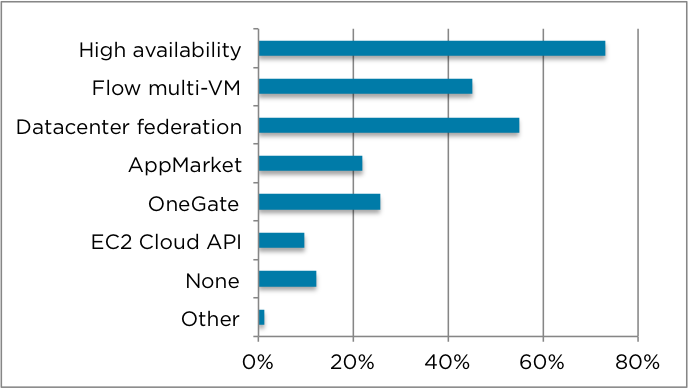 Among the advanced features offered by OpenNebula, High Availability, with 73%, is the most widely used. DC federation and Flow multi-VM are the next features with 55% and 45% respectively. The use of the EC2 cloud API drops from 25% to 10%. In this survey edition we added a new question about the use of hybrid cloud drivers. 44% of deployments use the hybrid cloud functionality offered by OpenNebula. Amazon EC2 at 30% and Microsoft Azure at 16% are the most widely used public clouds. 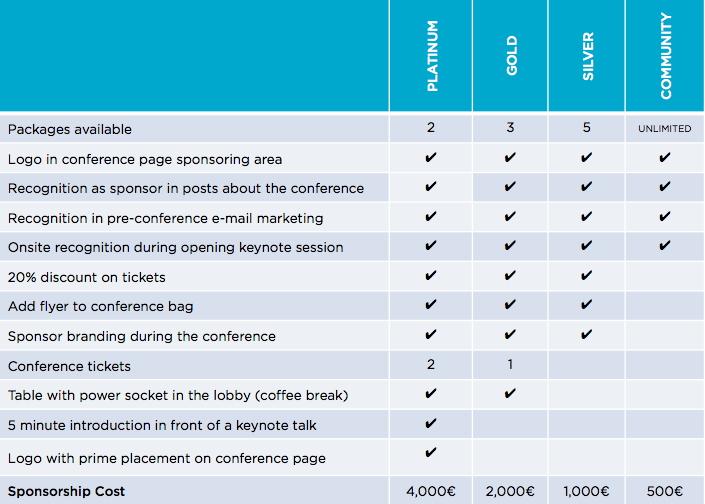 One more year, simplicity, flexibility, and openness continue being the main reasons for choosing OpenNebula. 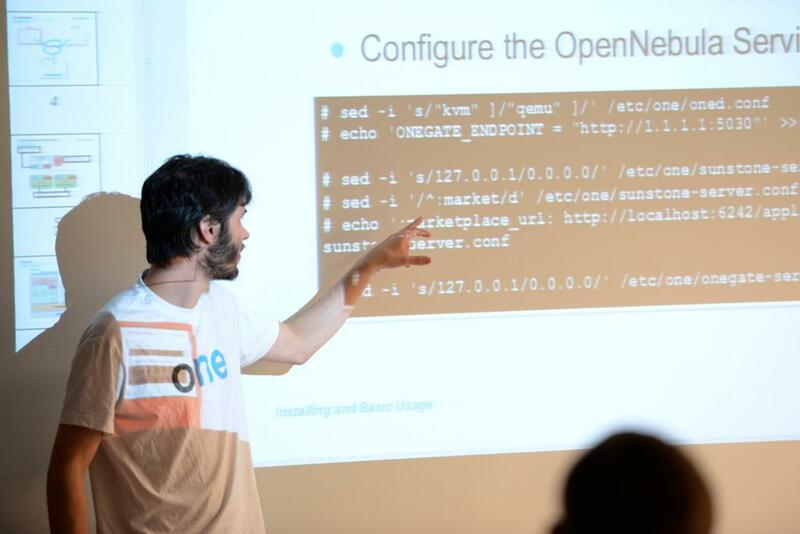 We are working hard on new features and improvements for OpenNebula 5.0. In this post we will share with you the new labels support that will be included in Sunstone. This new feature will enable the possibility to group the different resources under a given label and filter them in the admin and cloud views. With this new functionality, the user will be able to easily find the template she wants to instantiate or select a set of resources to apply a given action. 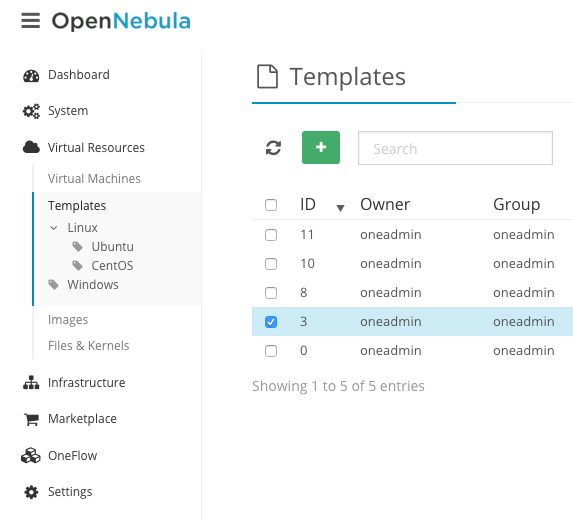 Labels can be defined for most of the OpenNebula resources from the admin view. Each resource will store the labels information in its own template, thus it can be easily edited from the CLI or Sunstone. The list of labels defined for each pool will be shown in the left navigation menu. After clicking on one of these labels only the resources with this label will be shown in the table. This filter is also available in the cloud view inside the virtual machine creation form to easily select a specific template. Stay tuned in the next coming weeks for more details about the new features planned for OpenNebula 5.0.